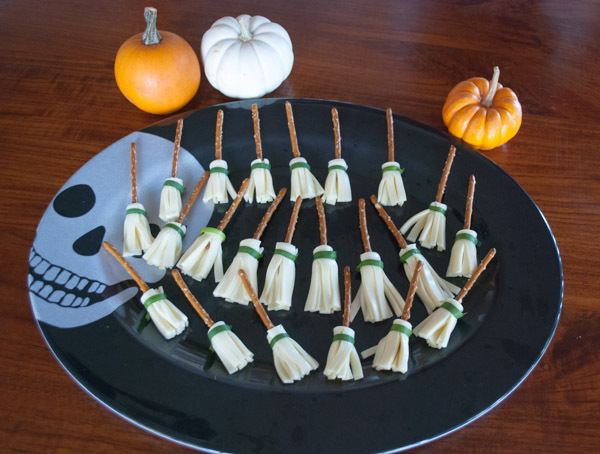 Looking for more healthy Halloween treats? 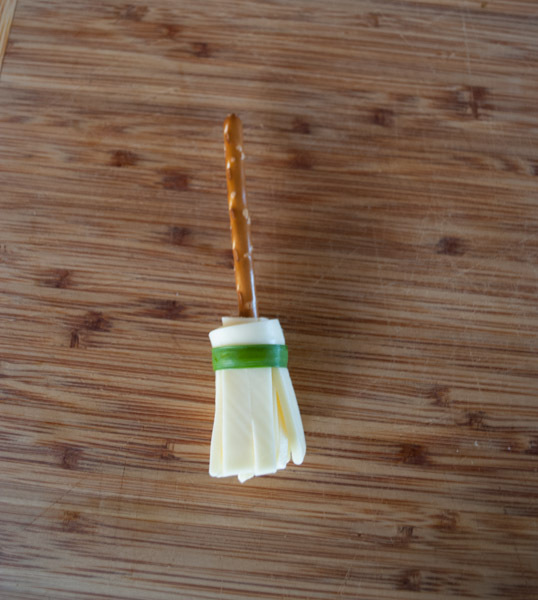 Try these witch’s brooms. 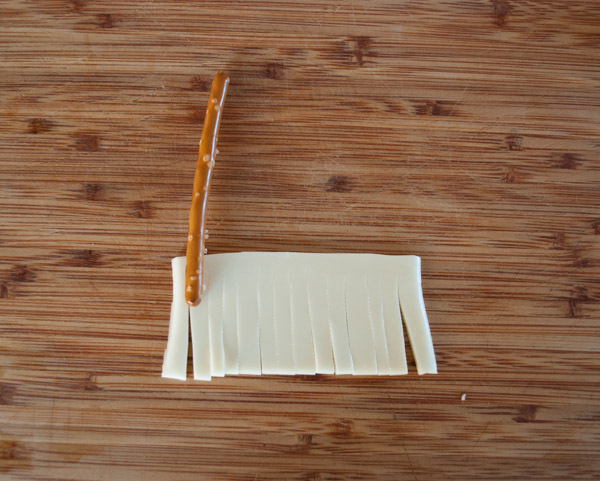 Unwrap a slice of cheese. Cut it in half. 2. 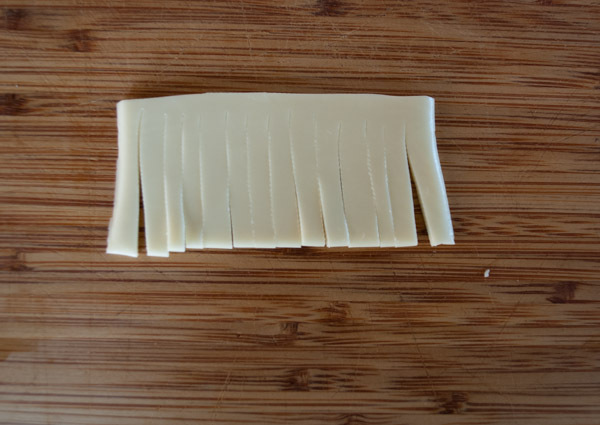 Use a knife to make slits almost to the top of the piece of cheese. 3. 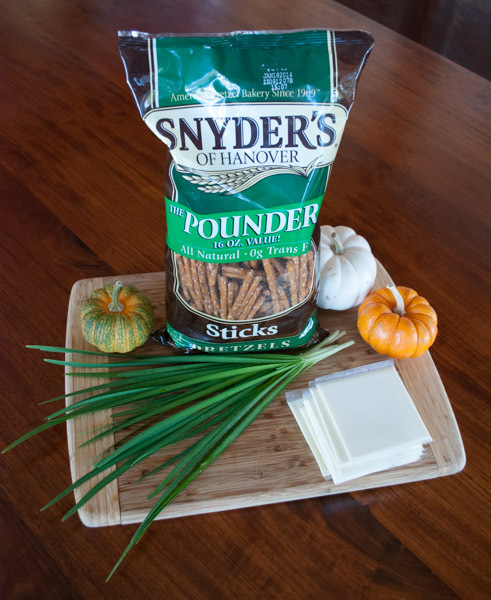 Wrap the cheese around the end of the pretzel stick. 4. 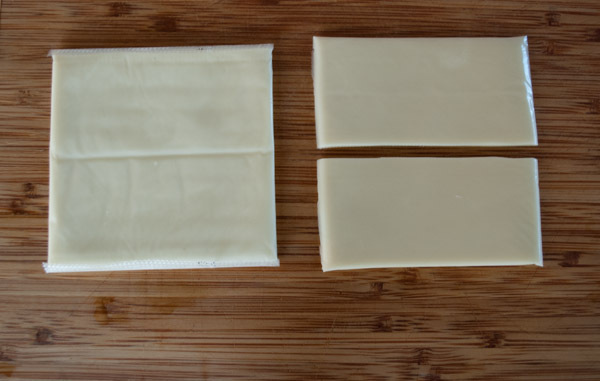 Use a piece of chive or green onion to secure the cheese. Thanks to bedifferentactnormal.com for the idea! 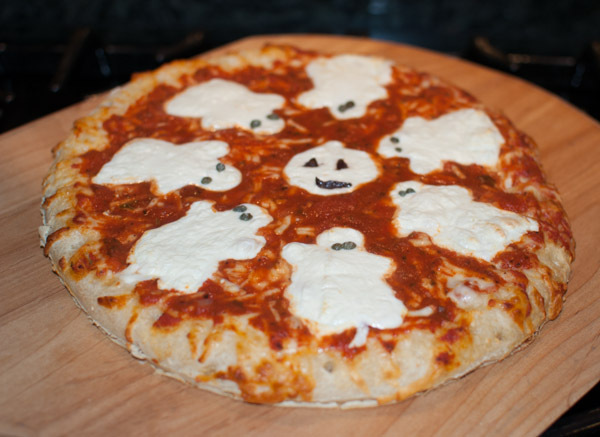 Use a ghost (or gingerbread girl) cookie cutter and slices of mozzarella cheese, and add ghosts to a pizza. 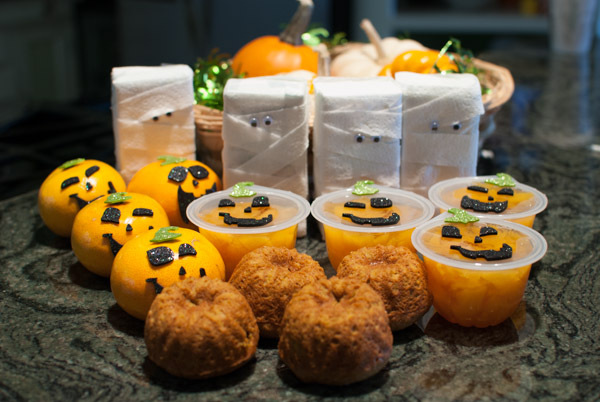 Decorate containers of mandarin oranges or peaches, or add faces to clementines. Use gauze or white electrical tape and some eyes, and transform a drink box into a mummy. 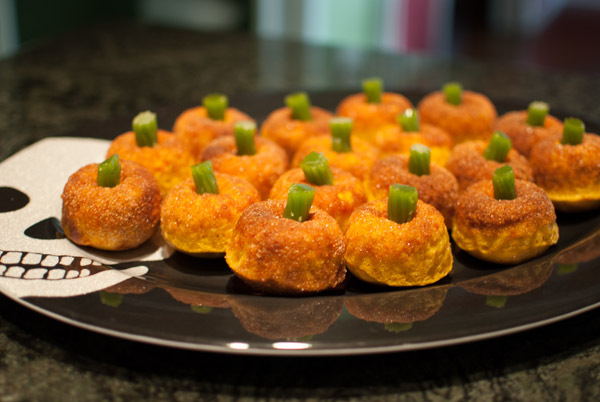 Use mini Bundt pans to bake some pumpkin donuts. Add a green licorice stem and a sprinkling of cinnamon sugar. 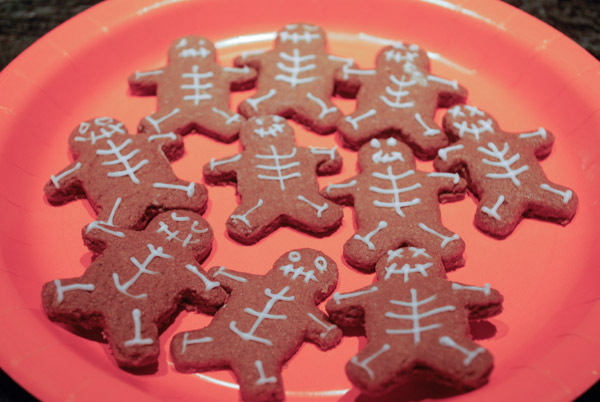 Add a touch of icing to gingerbread men and turn them into skeletons. 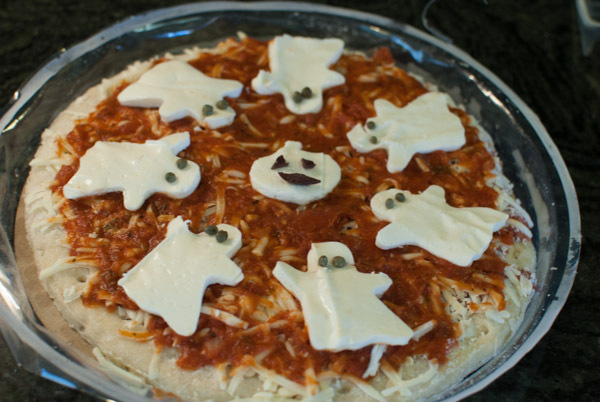 This entry was posted on October 5, 2015 by mdaucello in Halloween, Holidays, Recipes and tagged Halloween, healthy, snack.